A drug addict has been thrown a rehabilitative lifeline after she stole goods from a town centre shop. Chesterfield magistrates’ court heard on December 19 how Victoria Bowskill, 32, of Chapel Street, Brimington, Chesterfield, was seen acting suspiciously at Boots, on Low Pavement, in Chesterfield, before she was pursued by security guards and handed back stolen goods. Prosecuting solicitor John Cooper said Bowskill was seen selecting aftershave and attempting to remove a security tag and taking a Bluetooth speaker. Mr Cooper added Bowskill was caught outside the Portland Hotel and she passed over a Bluetooth speaker, aftershave and eye drops. Bowskill explained that she was on heroin and needed the money. She pleaded guilty to the theft which happened on October 22. Defence solicitor Steve Brint explained Bowskill has suffered a mental breakdown after an abusive relationship and after a new relationship she was introduced to cocaine and heroin. The court also heard how Bowskill is seeking help to deal with her drug addiction. Bowskill was sentenced to a community order with a Drug Rehabilitation Requirement and a Rehabilitation Activity Requirement. 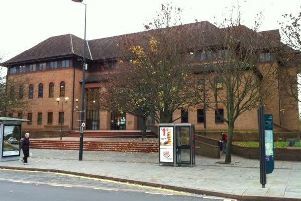 She was fined £30 and must pay £85 costs and an £85 victim surcharge.